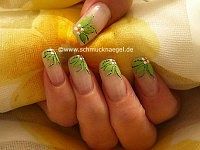 Home Nail art Archive by category "Spring"
– Spring and summer motif. 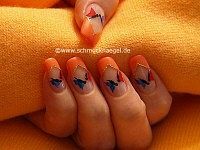 and nail polish in different colors – French summer instruction with pictures. in pink – French design for spring with flowers. We hope that you liked! 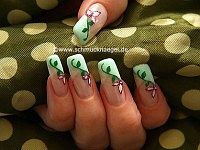 – Design for spring with flowers – Step by step instruction. We hope that you liked! in different colors – Step by step French instruction. We hope that you liked! 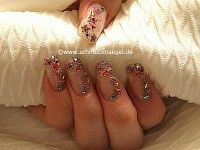 and glitter-powder – Nail art with step by step pictures. We hope that you liked! 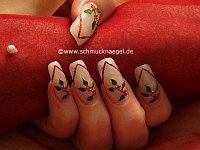 in red – Step by step spring motif instruction. We hope that you liked! 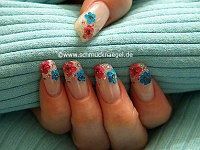 with glitter-powder – Spring nail art motif step by step instruction. 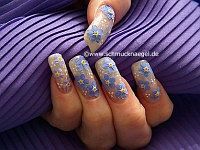 Flowers nail art motif in the colours blue, white and gold – With step by step pictures to make yourself and decorate the fingernails.